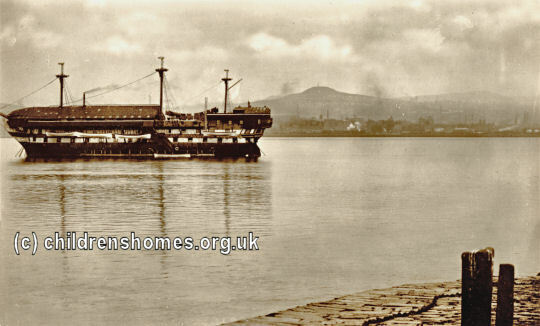 The Training Ship Mars was established in 1869 on the Firth of Tay, at Newport, near Dundee. On September 30th, 1869 the vessel was officially certified as an Industrial School Ship, accommodating up to 400 boys. In March 1875, a Dundee textile manufacturer donated a sea-going tender, Francis Molison, which provided the boys with experience of practical seamanship. A new tender, Lighting, took over the role in December, 1906. 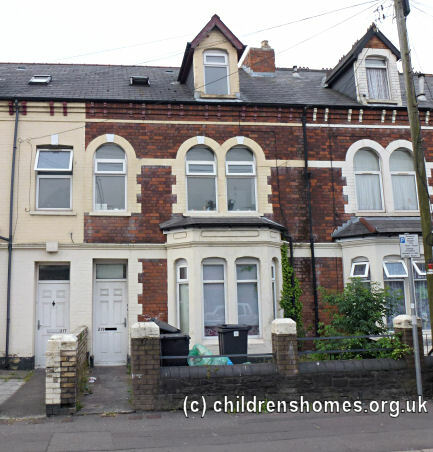 On November 13, 1895, an Auxiliary Home for the ship was opened at 219 Penarth Road, Cardiff. The home, which could accommodate 6 boys, was used by former Mars inmates who needed short-term hostel accommodation when their ships docked at the port. The Mars was closed in 1929. Newport Library and Heritage Centre, Blyth Hall, 3 Scott Street, Newport On Tay, DD6 8DD.